The Fortnite Week 10 Loading Screen for Season 7 has been leaked early; here's the solution you need. We’re still a little while away from it, but we’ve already had our first glimpse at what to expect from the week 10 Loading Screen for Fortnite Season 7, which seems to depict the Snowfall skin doing his best Dark Souls impression. 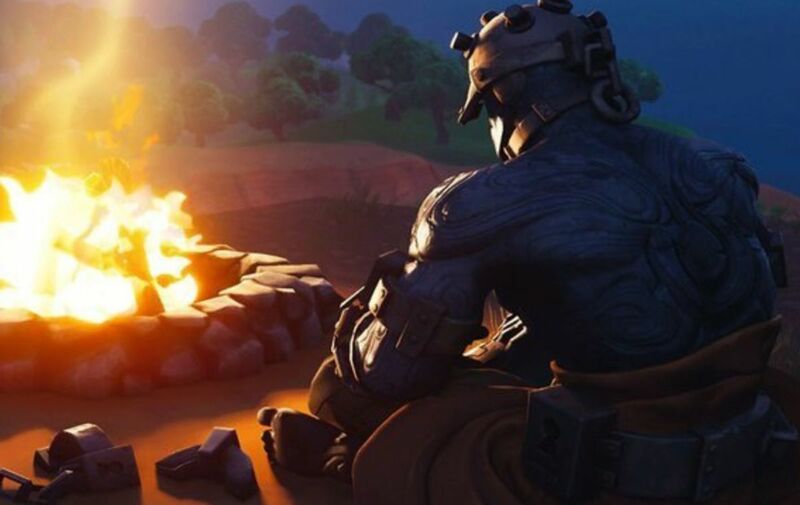 The Prisoner is sat in front of a campfire and looking out on non-frozen horizon. Whatever he’s doing, you’d have to think he’s seeking revenge on The Ice King for locking him up for so long, which may kickstart the events of Fortnite Season 8. Here’s the loading screen, courtesy of lucas7yoshi_. And the Battle Star itself, which may actually be in the form of a Battle Banner instead; sigh. This is quite a memorable spot near Retail Row. The Banner itself is located next to a tree that looks to be south of the parking lot that is north of Retail Row. For an even bigger hint, it’s near one of those weird towers that used to always spawn rifts. Here’s my best guess on the Fortnite map based on the Loading Screen. Remember that you need to have completed ten consecutive weeks of Battle Pass challenges before you can access this Battle Banner, otherwise it will not show at all. The Battle Pass costs 950 V-bucks. Be sure to check out all the Battle Pass challenges for Week 10.